CLOSEOUTS. 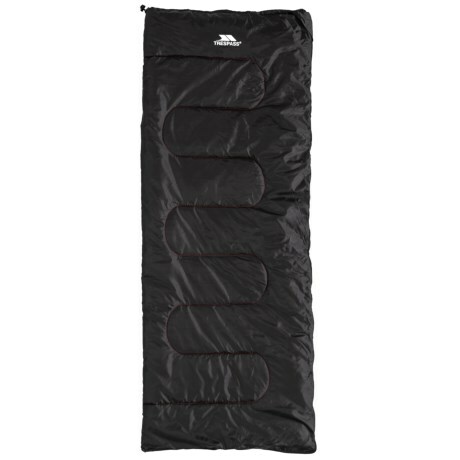 This Trespass 55and#176;F Envelop sleeping bag comes in a classic rectangular shape with light Hollowfibre insulation for comfort in warm weather. Available Colors: BLACK.